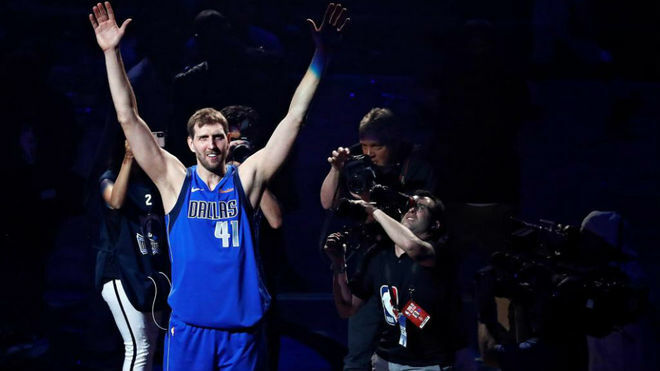 Dallas Mavericks’ veteran Dirk Nowitzki ended speculation regarding his future, telling a packed crowd at American Airlines Center, “This is my last home game,” following Dallas’ 120-109 victory over the Phoenix Suns. In his last home game, the 40-year-old Nowitzki had a season-high 30 points, eight rebounds and three assists against the Suns. Throughout his career, he earned the 2007 MVP award, a 2011 NBA championship and 14 All-Star appearances. He is sixth on the NBA’s all-time scoring list and entered Tuesday with 31,510 points in his career.